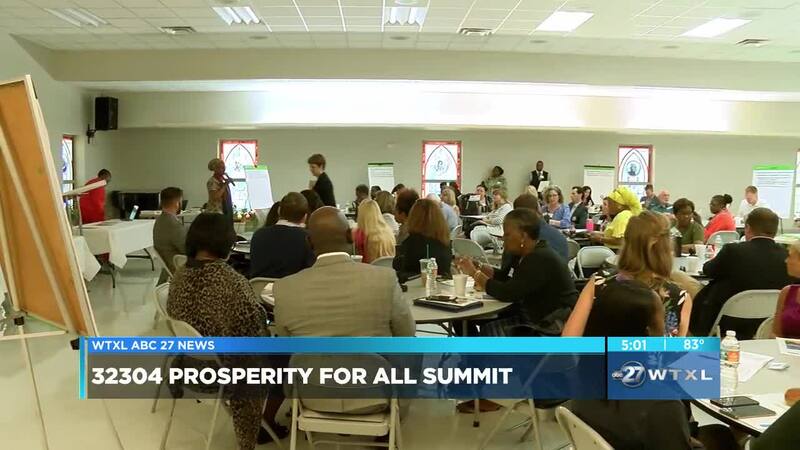 LEON COUNTY, Fla. — The 32304 Prosperity For All Summit brought the community together Thursday morning to address poverty and try to find ways to fix it. City leaders and people that live in that area filled New Mount Zion Church to talk about how they can improve the quality of life in the 32304 zip code. Some of the topics discussed were how to create more jobs, provide affordable housing, and improve education. During the summit, people came up with ways to tackle those issues in a breakout session. A woman who grew up in Frenchtown says she came to the summit to help bring awareness to her community. "Frenchtown still exists and we are still trying to be a viable component of this community," said Cheryl Collier Brown, former Frenchtown resident. The summit's host, Leon County Commissioner Bill Proctor, says he is confident that as the community works together, changes will be made. "We believe that we have the tools within our community to address and review these concerns in a favorable way," said Proctor. Three more sessions are planned to take place in the next couple of months, the next is in May.